Japanese food is so dynamic it puts most other cuisines to shame. Japan has the highest life expectancy in the world which is in no small part due to its healthy and varied diet. 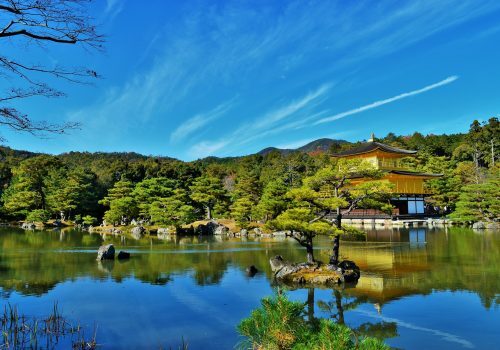 This itinerary will introduce you to the cultural riches of Tokyo, Kyoto and Osaka. You can learn a lot about a country by exploring its food. 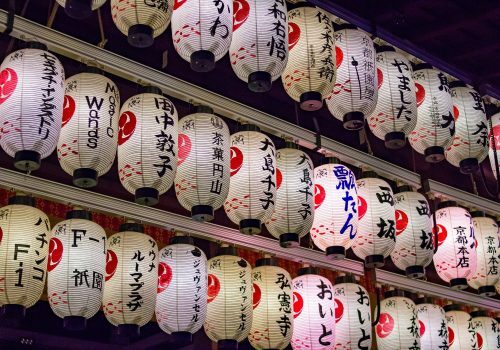 From night markets to sake farms, you’ll get a feel and a taste for this extraordinary culture. When you arrive at the airport your driver will meet you and transfer you to your hotel. Your eyes will be dazzled by the bright lights of Tokyo, one of the biggest and most advanced cities in the world. Check into your hotel. Day and evening at leisure. Today you’ll be embarking on a guided food tour of the Shibuya district. This will take you off the tourist trail and allow you to taste authentic Japanese food. You’ll meet your guide by Shibuya station and sample some of the best street food in town. From wagyu beef to takoyaki and imagawaki deserts, you certainly won’t leave feeling hungry. You’ll have the day to yourself before your night walking tour. 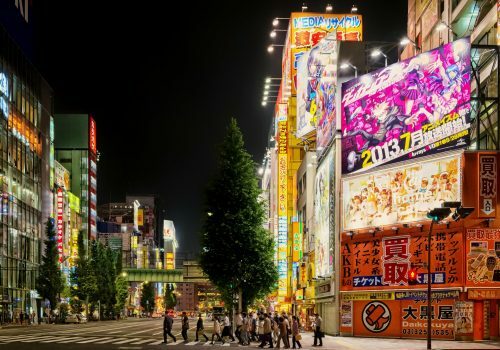 Tokyo has so much to offer and you can only do so much on one trip. You can explore the city at your own pace, perhaps taking in the buzzing Harajuku district. Alternatively, you could visit the ancient Buddhist temple, Sensō-ji. 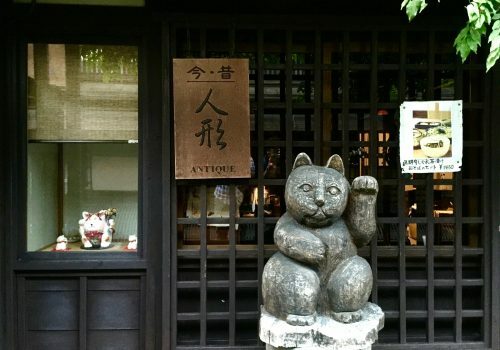 At 5 pm you’ll head to Yurakucho to meet your guide. From Yakitori Alley to Ginza, you’ll be visiting many of the cities’ best food districts. Local chefs will introduce you to various dishes, such as the popular monjayaki pancakes washed down with saki. You’ll be taking a scenic train ride to Nagoya where you’ll change onto the Takayama train. The journey will take just under five hours. You’ll be travelling through and staying in the Japanese Alps in the town of Takayama. From ultra-modern Tokyo to you’ll be travelling back in time. In Takayama, you’ll see architectural quirks associated with the Edo period. This will give you a glimpse of Japan as it was before it rapidly industrialised, and some would say Westernised. This morning you’ll meet your guide and embark on a guided food and culture tour of the town. You’ll see classic sake breweries as well as a market that’s been operating since the Edo Period – an enigmatic period when Japan cut itself off from the rest of the world. Today you’ll get the train to Kyoto changing at Nagoya on the way, a journey of three and a half hours. When you arrive in Kyoto you’ll experience a quintessentially Japanese tea ceremony. A driver will meet you at your hotel and transfer you to the ceremony, where you’ll meet the local Tea Master in a private house. You’ll be joining a guided tour of Kyoto in the morning. Your guide will show you the cultural riches of a city that’s home to 17 UNESCO World Heritage sites. You’ll be travelling to Wazuka where you’ll visit Obubu tea farm. Your guide will introduce you to the area, give you a cup of tea and then you’ll visit the tea fields in the mountains. Lunch will be served and then you’ll have a tea tasting session. The port city of Osaka is just a half hour train ride from Kyoto. At night you’ll be heading on a guided tour of the street food scene. This will include a visit to Dotonbori, a famous food street offering many restaurants. High-end places vie with street food vendors for your attention. Wherever you look you’ll see amazing foods. This is probably Japan’s most celebrated food district. You can opt to join a guided tour or explore the city at your own pace. You’ll want to check out Osaka Castle, the Dotonbori area and have an evening drink at one of the microbars around the Misono Building. Today you’ll be transferred to Itami Airport for your return flight.